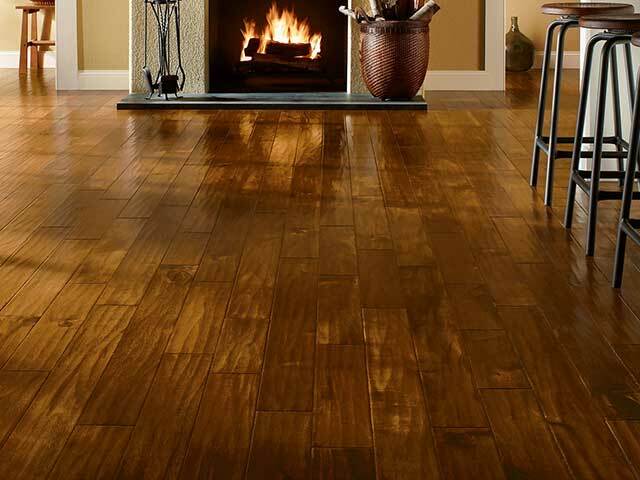 Wood flooring adds warmth and luxury and is enjoying great popularity in lobbies today. In most facilities wood is protected with polyurethane for longer life and durability. This hard surface protectant does scratch from heavy traffic while deep scratches and gouges in the wood, itself, may require sanding and staining, followed by reapplication of a polyurethane coating. New polyurethane has properties that protect the wood and when maintained on a regular basis, will help to eliminate the need for sanding. Unglazed ceramic tiles are porous and therefore present a challenge. They may be impregnated, thereby filling the pores, rendering the tile as impervious to soil as the glazed tile or they may be sealed, which accomplishes the same end. The sealant, however, will wear off, requiring resealing. Scrubbing the tile, and especially the grout, will keep ceramic tile attractive.